Say hello to a secure and private internet experience with VPN One. 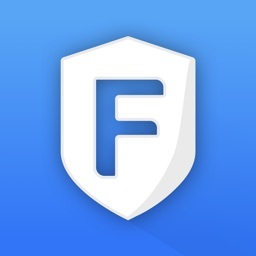 This VPN proxy app not only enables you to access the restricted websites, it also provides you with a fast and secure connection to make sure you are privately surfing the web and using your favorite applications. 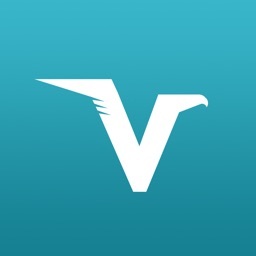 So, if you are looking for a fast, secure, reliable and private VPN application, download VPN One on your iPhone or iPad device, and enjoy surfing the web anonymously. What to expect from the VPN One? 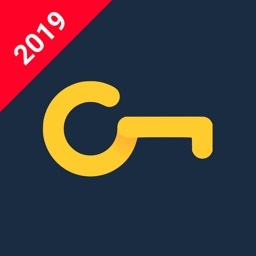 VPN One, the unlimited VPN proxy app, comes with a clean and neat design and the interface is so user-friendly that you’ll get the whole idea after opening the app for the very first time. 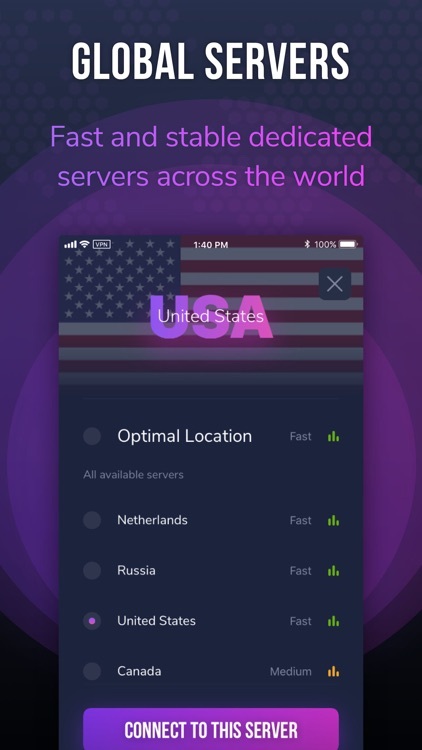 Speaking of the user-friendly interface, you just need to open the app, select the country you’d like to connect to their servers and hit the connect button. 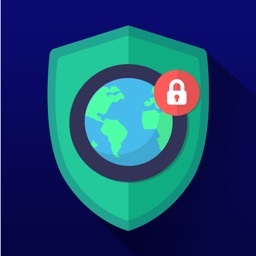 The super fast and secure connection, unlimited bandwidth, a wide range of VPN servers in different countries to choose from, and reliable service are just a few reasons to download and install VPN One when it comes to having a secure connection while being connected to public Wi-Fi networks. Do I really need to have a VPN Proxy app? 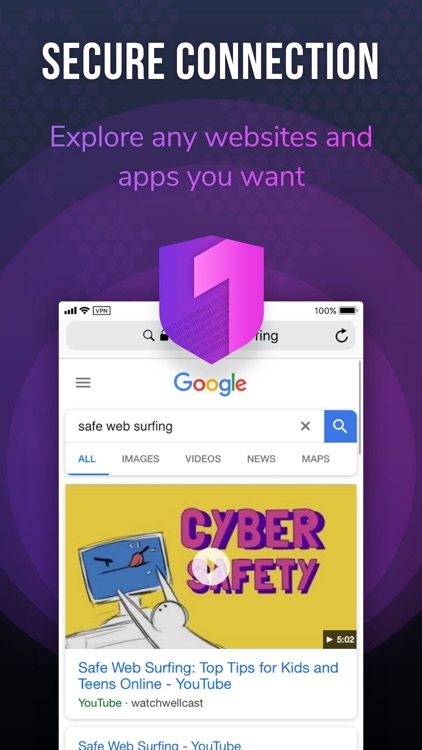 VPN One isn’t just for those who are looking for a secure way to get access to certain websites and applications, including Facebook, YouTube, Twitter, and Snapchat. VPN One is also for those who are looking for a way to surf the web securely and anonymously. Say, you are having a drink in a bar and they happen to offer free Wi-Fi to their customers. If you are not sure about the privacy of your data while connected to the bar’s network, you just need to connect to one of the many secure servers of VPN One and surf the web privately without being worried about being tracked or spied. 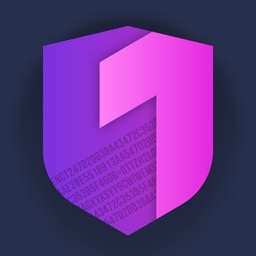 So, download VPN One on your iOS device, initiate a secure connection to our private VPN proxy servers and access your favorite social networks and streaming websites whenever you want and wherever you are. •	Length of subscription: one month; one year. •	Price of subscription: one month - 9.99 dollars; one year - 35.99 dollars.